Solar charging or 1A input from USB, dual 5V & 1A USB output. Charge time 7-10 hours by sunlight, 5-6 hours by 1A USB. Will charge a typical smart phone 2 times or more, all products are tested and charge times are accurate. 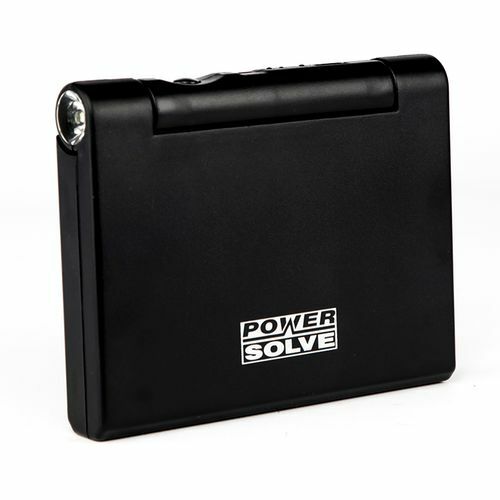 High compatibility with electronic devices charged by USB output, such as cell phones, tablet PCs, cameras etc. Built in powerful LED flashlight which can operate for 20 hours from fully charged battery. LED indicators show loading of power. The 5V USB output can be used at the same time as the solar charger is being charged. Open book design folds to compact package when not being charged via sunlight. Matt Black ABS enclosure measure 150 x 116 x 25mm closed, 150 x 210 x 25mm open.